When it comes to war the only guarantee is death . . . The cosmic gods are about to strike, humanity is on the verge of losing its free will, and Carmella Hunter and her friends are the last line of defense. 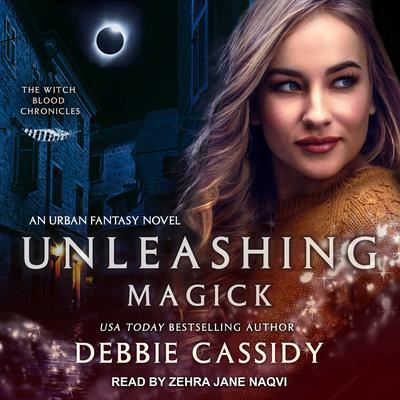 The task of being anchor between the witches and the skein is draining Carmella by the hour, but she isn't one to sit by and let her friends do the work. With the clock ticking toward the eclipse, Carmella is determined to wrestle a plan B into place. 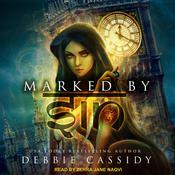 With the dragon demi-god and his asura at her side, Carmella will be making some huge leaps of faith. When the eclipse arrives, Carmella plans to be ready, but even the best laid plans can get derailed, and Carmella is about to learn that when it comes to war the only guarantee is death. When it comes to war the only guarantee is death . . . The task of being anchor between the witches and the skein is draining Carmella by the hour, but she isn't one to sit by and let her friends do the work. With the clock ticking toward the eclipse, Carmella is determined to wrestle a plan B into place. 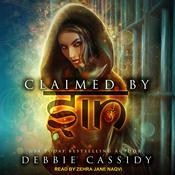 With the dragon demi-god and his asura at her side, Carmella will be making some huge leaps of faith. Debbie Cassidy lives in England, Bedfordshire, with her three kids and very supportive husband. Coffee and chocolate biscuits are her writing fuels of choice, and she is still working on getting that perfect tower of solitude built in her back garden. Obsessed with building new worlds and reading about them, she spends her spare time daydreaming and conversing with the characters in her head-in a totally non-psychotic way of course. She writes high fantasy, urban fantasy, and science fiction. 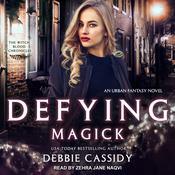 Debbie also writes dark, diverse urban fantasy fiction, under the pen name Amos Cassidy, with her best friend, Richard Amos.